TITANIA INGLIS / NEWS: Help make NYC bike-friendlier! Pedaling New York's streets will be a little easier once the city installs new bike racks, now in the design process. And with the registration deadline set for April 30, there's still time to join the competition. Cool Hunting has already set out some suggestions, including the Horseshoe, at left. 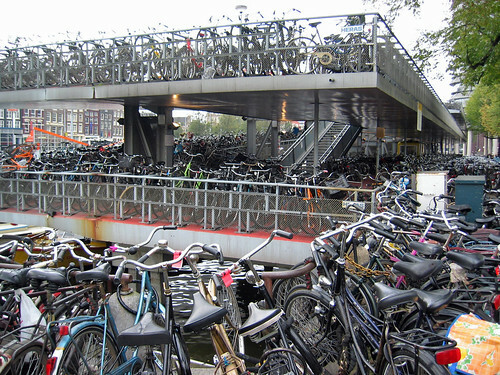 Frankly, if everyone were biking, it wouldn't matter what the racks looked like: courtesy of Flickr, here's the famed bike parking garage outside Amsterdam's central train station.